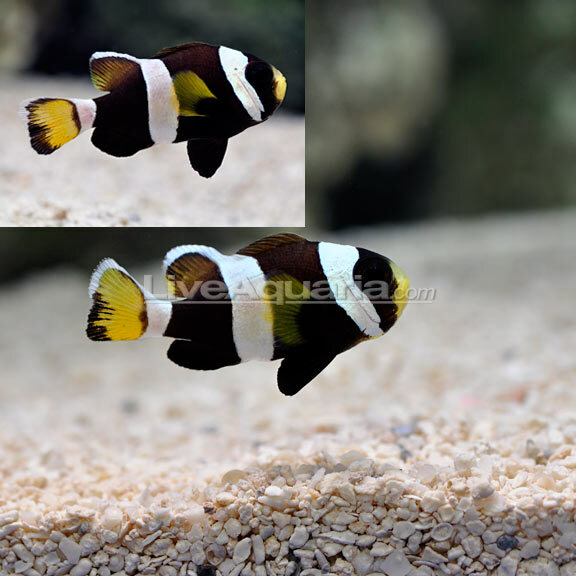 Listen up clownfish lovers, LiveAquaria has a gorgeous male and female pair of tank-bred Latezonatus clownfish (Amphiprion latezonatus) that was just posted for sale in their Diver’s Den section (UPDATE: the fish have already been sold, only minutes after writing the article). 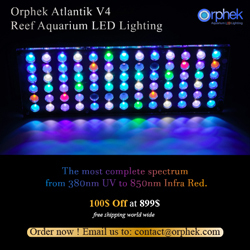 Each fish is just under 2″ in length, and the sale price is set at a previously unheard of $200. In the past, Latz clownfish pairs have been sold on Diver’s Den for $600 and more, making this new pair extremely affordable and within the reach of many aquarium hobbyists. The Latezonatus clownfish is an Australian native that has been available in the hobby in severely limited quantities for several years, though most aquarists have had very little success with these fish. Poor shipping and unexplained disease have caused most of the wild caught individuals to perish in captivity, but thankfully captive-bred Latz clowns have replaced their wild-caught counterparts. When the captive-bred clowns first appeared on the scene their quantities were severely limited and the market drove the price per fish to the multiple hundreds of dollars. Continued success with the species has brought us to where we are today, with captive-bred Latezonatus clownfish pairs being available for less than the price of a pair of Picasso clowns. Good to see DD and Live Aquaria didnt upcharge and went with the going rate on these guys.